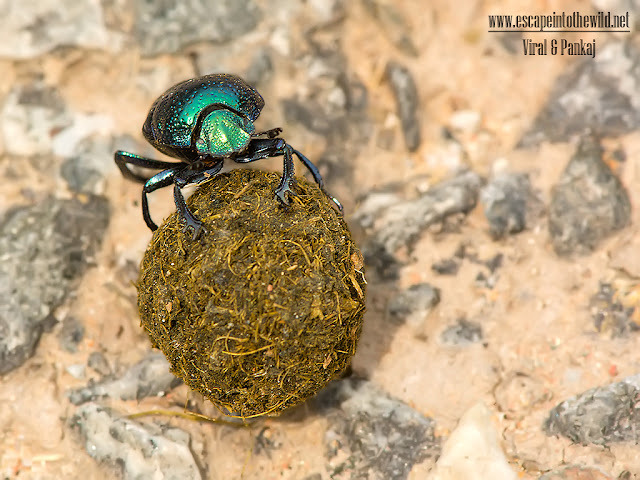 Many dung beetles, known as rollers, roll dung into round balls, which are used as a food source or brooding chambers. Others, known as tunnelers, bury the dung wherever they find it. A third group, the dwellers, neither roll nor burrow: they simply live in manure. Dung beetles are currently the only known non-human animal to navigate and orient themselves using the Milky Way.